This blog hasn’t kept up, but the book club has enthusiastically continued to read, meet, and enjoy discussing books. We are adding new members and expanding our horizons as we have moved into some serious reading in church history. We’re not getting bogged down, though, as we have included related historical fiction! At our August meeting we had a wonderful time at our first-ever summer potluck dinner (thank you, M.R. ), and sketched out some plans for our reading over the next few months. Check out the Our Next Book link above to see the details. At our September 10th meeting, we will need to set a different date for the October meeting, since our usual second Monday will fall on the Thanksgiving holiday, so please give some thought to what date would work with your calendar. So, for September 10, be prepared to discuss Count Belisarius. We’ll be meeting at Father Lawrence’s, 7:30 as usual. See you there! This is an article that recently appeared in Dappled Things, a quarterly of ideas, art & faith. This novel by Paul Horgan is one we may want to consider for future reading; I’ll put it on our Suggested Books page. In reality, though, there few instances of the genre in the Catholic literary pantheon. After Portrait of the Artist as a Young Man, the landscape of novel-length literary treatments is arid. Oh, pop culture is replete with them, crowded with Catholic school youths bumping and grinding against the constraints of frigid nuns and hypocritical priests. Short literary fiction boasts fine examples: Flannery O’Connor’s “A Temple of the Holy Ghost” and Bernard MacLaverty’s “The Beginnings of a Sin” come immediately to mind. These stories are funny and wrenching, just like the human experience they reflect. But is there a Catholic Adventures of Huckleberry Finn or Catcher in the Rye, a novel that’s an honest literary rendering of the moments when the veil is lifted on the adult world, when pedestals shatter and idols fall? Things As They Are was written by Paul Horgan and published in 1951. It is not a rollicking or picaresque novel. It’s quiet, episodic, and subtle. But it’s also powerful, lucid, and authentic—a hidden gem of English-language Catholic literature and of the coming-of-age novel. I’m ashamed to say I’d never heard of it myself before a couple of years ago, when, as the editor of the Loyola Classics series of mid-century Catholic novels, I was talking with George Weigel, who had written the introduction to our edition of Evelyn Waugh’s Helena. Had we given any thought to Things as They Are, he wondered. I confessed I had no idea what he was talking about. Get it, he said. Read it. He was sure we’d want to include it in the series. He was right. We read the novel. We were completely taken with it, and astonished that it had slipped out of almost everyone’s consciousness in the half-century since its publication. Paul Horgan was an intriguing figure, the product of a period of freedom in American intellectual life, before specialization and professionalism, when a man without a college degree might write a history—or two—that might win him a Pulitzer Prize—or two. Horgan was born in 1903 in Rochester, New York. The family moved to New Mexico in 1914 for the sake of his father’s health. Horgan attended the New Mexico Military Institute in Roswell, then returned to Rochester to attend college at the Eastman Music Institute. He didn’t stay long at Eastman. After a couple of years studying music and dabbling in theater, he left in 1923 without finishing his degree. He returned to his old school in Roswell, where served as the librarian until 1942. Horgan had begun writing in the 1920s, primarily novels and short stories. He worked in Washington, D.C. during the war, at which point he began writing histories. His primary interest was, not surprisingly, the Southwest. His two Pulitzers were awarded in 1955 for a history of the Rio Grande River called The Great River (which was also awarded the Bancroft Prize) and in 1975 for Lamy of Santa Fe, his biography of Archbishop John Baptist Lamy, the first bishop of Santa Fe, and the inspiration for Willa Cather’s Death Comes for the Archbishop. Horgan moved to Middletown, Connecticut in 1959 where he wrote, worked at Wesleyan University, and died in 1995. Things as They Are is the first novel of a trilogy called The Richard Trilogy. Richard, the title character, is a young boy growing up in upstate New York in the early twentieth century, the much-loved only child of kind, prosperous middle-class Catholic parents. The book is episodic: Each chapter describes a different incident in the boy’s life within a clear chronology, but not, at first look, in the context of a clear narrative sequence. Though isn’t that the way all of us, particularly children, experience life? As a series of episodes, of moments that only later do we see linked by a common thread, purpose, or direction? What is that, “things as they are”? It’s life: beauty, pain, and the discovery of the human capacity for evil, particularly in our own selves. The young Richard discovers frightening things about himself in the opening chapter of the novel when he encounters, not a pear tree, but a kitten, and chooses to do wrong, for what reason he cannot tell—for no reason, for any reason. As the novel unfolds, evil continues to reveal itself in the consequences of judging a misfit; in the sad, pathetic deception of a beloved uncle; in the harshness of family; in adults who use Richard’s affection as a means to sin with each other; in the strange attraction of those who would exploit the young; and most powerfully and heartbreakingly, in the story of a mentally disabled neighbor boy who is victimized by other boys to the point of grave illness, and, Richard perceives, allowed to die by his outwardly upright and loving parents. Paul Horgan knew that there is nothing less sentimental than Catholicism, because Catholicism is realism. 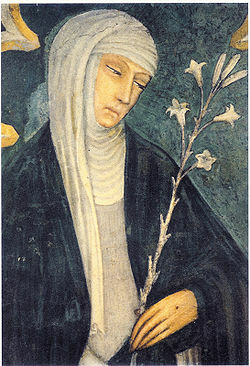 And he knew the reason why Catholicism is realism: because it is through the Incarnation, a real event at a real time in a real place, that God’s unsentimental, cleansing, and all-powerful love is decisively revealed—the divine mercy that is, according to the parable of the Prodigal Son, the defining characteristic of God’s interaction with the world. Catholic realism doesn’t deny “things as they are.” Catholic realism doesn’t deny the temptations of what an older generation called “the world, the flesh, and the devil.” Catholic realism confronts the world, the flesh, and the devil in the confidence that, as Christ has conquered, so, by the divine mercy and grace, may the people who are Christ’s Body in history. The novel is filled with moments of clarity in which Richard begins to understand that mystery, none more memorable than the evening his mother takes him out to confront a thunderstorm. The family is at their summer cottage on a lake. The father has just experienced the terrible, wrenching dissolution of a friendship and business relationship. Richard, who has seen his father as he has never seen him before—weak, wounded, and dependent on others—is terrified, as always, when a thunderstorm strikes. Defying his father’s command, he rushes to the closet to hide. Over the past three years, as part of the editing the Loyola Classics series, I read a great deal of mid-century Catholic-themed fiction, the vast majority of it decidedly mediocre. It was exhausting. 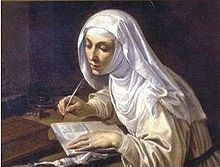 The stories about idealized priests and nuns and tragic, repentant heroines are mired in their time, imprisoned by their authors’ determination that what readers needed and wanted were piety and neat conversions-on-the-precipice. Those books are relics, of little interest or value today. Things as They Are, however, still resonates. Richard is us. The world he sees with wonder and even sadness is our world. The fallen idols he mourns are our idols. But in loss, grace shimmers, faint but unmistakable. For if we are to recognize the voice of God in the midst of things as they are, the idols must fall. Amy Welborn writes Open Book, a highly-respected blog on culture, theology, Church news, current events, devotion, and a host of other topics. She is the author of many works of catechesis and apologetics, including A Catholic Guide to the Good Life, The Words We Pray, and The Loyola Kids’ Book of Saints. She is also a popular speaker and the editor emeritus of Loyola Classics. This excerpt is taken from an interview with author Paul Lisicky by Nick Ripatrazone, moderator of the blog The Fine Delight, Catholicism in Literature. Because of our reading of Flannery O’Connor, I thought his take might be of interest. Could you discuss your appreciation for the writing (and ideas about writing) of Flannery O’Connor? I’ve always been stirred by the relationship between disruption and growth in her work. Grace doesn’t often happen without confrontation, especially confrontation between strangers. I’m also interested in the relationship between irreverence and reverence in her stories. You can’t have reverence without the other, you know? The Grandmother in “A Good Man is Hard to Find” doesn’t reach out to touch the Misfit’s face until after she mumbles, “Maybe he didn’t raise the dead.” That’s the first point in the piece where she actively doubts, the first time she asks a question. The religion of complacency and denial and reward for social achievement–gone up in a flare. I don’t think that she would have come to that radical connection with the Misfit unless she’d opened herself up to doubt. I also love what O’Connor does with tone–the almost slapstick, vaguely sitcom-y opening of “A Good Man” morphing into something so grave and pressurized that it’s almost unbearable. Try reading that whole story aloud in a group setting: It’s on fire. I’m always relieved by any piece of art that escapes its original terms, that’s given permission to leap and stretch and go to strange, anarchic places. Of course there’s still humor, dark humor, in the gravest parts of the story, but the story’s become another animal in its final pages. There’s such a lesson in that, not only in terms of content but form, too. If you are interested to read the entire interview, click on the blog link above. 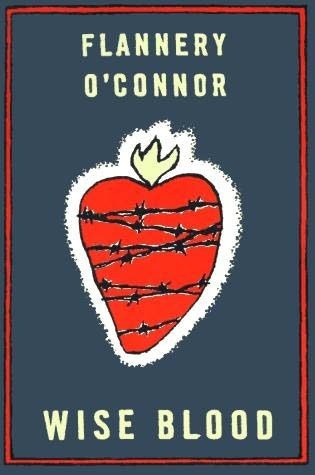 We had looked forward eagerly to our December meeting because this month’s book, Wise Blood by Flannery O’Connor, had been so challenging in its differentness. A new member came, and made a valuable contribution to the discussion as he had seen the movie made from the book back in 1979, directed by John Huston. He was able to describe the determined and forceful way the protagonist Hazel Motes presented himself, characterizing him as clearly “a man with a mission”, one who was not going to let anything distract him from his purpose. Our discussion ranged over various scenes, characters, and interpretations as we pointed out instances of humour and places where the merging of the several stories that made up the novel did not fit smoothly. We agreed that O’Connor meant to confront the reader with the dark side that exists in us all. The novel was challenging, verging on the existential, but possibly not as excellent or satisfying as her short stories, which are said to be her most successful works. Since this is such a small book, I think I’ll write about my reactions to it as I go. I’ve waited a while before getting started, because I didn’t want to have forgotten the book by the time our meeting rolled around. The first thing I notice is the author’s ability to describe using few words. I like the “few hogs nosing in the furrows look(ing) like large spotted stones” from the window of the racing train. I feel as though I have been put down into the landscape of a black-and-white 1940’s movie, but the place is utterly foreign to me and the people unlike anyone I have known. And, perhaps fatally for the story, the author has not yet drawn me in, has not made me want to know more about them or what will happen to them. Our November meeting gave us a chance to talk about how glad we are to have come to know more about Blessed John Henry Newman from our current book, and how impressed we have been with his holiness. He gave up so much to convert from Anglicanism to Catholicism–family, friends, reputation, income, occupation, and personal comfort, but he did it with joy, relying completely on God. He is, or will be when officially declared, a modern saint, one for our own time. Moving from the subject to the book itself, one member declared that the author, Zeno, takes it very easy on members of the Catholic clergy who were distrustful of Newman and caused a great deal of trouble, particularly Cardinal Manning and Father Faber. In her opinion, Zeno tends to whitewash them, declaring that they acted in good faith and therefore were not at fault for the miseries, hardships, and misunderstandings they caused. She feels that a truer picture is given by Meriol Trevor in her classic two-volume biography of Newman. Another member, however, felt that the particular focus of Zeno’s book, Newman’s inner life, was exactly what he was looking for and gave him the insight into Newman’s character that he valued. We adjourned for tea and the dessert brought by ‘bookgetaway’, which was a great hit, prompting seconds (and maybe some thirds), as well as a request for the recipe. Over our goodies we demonstrated to contributing members how to post to this blog, and discussed what book we would like to read for our January meeting. Our decision was Jesus of Nazareth by Pope Benedict XVI. We are eager to read the Pope’s insights into Scripture and into theological as well as historical studies of Jesus. Since the Pope has been working on a second volume to this work, it seems that this will be a good time for us to become familiar with this initial work. 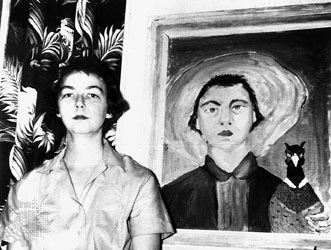 We look forward to discussing Flannery O’Connor‘s Wise Blood on December 13, our next meeting. On this feastday of St. Luke the Evangelist, I received a link to this Foreword to Taylor Caldwell’s novel, Dear and Glorious Physician: A Novel About St. Luke. Since this book is on our Suggested Books list and is one that Tom and I thoroughly enjoyed, I thought I would pass it on to you, with a small commentary on our reaction to reading it. When we read this book, we felt immersed in the sights, smells, and sounds of the time. The author does a wonderful job of recreating the societies and families in which her scenes are set, and you really do feel as though you are viewing that history. The book has been around for a long time and I had heard of the title but never read it, until it was mentioned to me by a friend who had recently converted to Catholicism. She is an athletic type, not usually a reader, but when she described to me how she had been swept away by this novel and how very much she had enjoyed it, I decided I had better have a look at it. And that was all it took–I too was immediately immersed in the story. May our celebration of the feast of St. Luke bring blessings to us all! 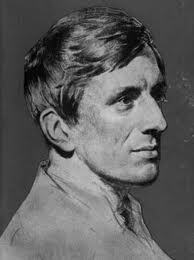 The discussion of this month’s book, John Henry Newman: His Inner Life, was lively and the atmosphere sparked with strong views of this character, Blessed Newman. All agreed, however, that his overriding goal in life was to do the will of God, come what may, which led him down unexpected paths. His remarkable giftedness and keen sensitivity has often led Blessed Newman to be misunderstood, both during his life, by friend and foe, and down to our own time. Since this month’s gathering covered only the first seven chapters of the book, we can hardly wait for the discussion of the second half of the book at the November 8th gathering of the “Getaways”.